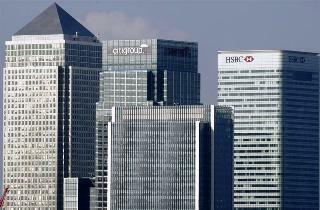 As Britain leaves the European Union, the UK government is eager to persuade lenders to stay in London. But watering down regulations would risk irking Brussels. Getting rid of the surcharge on banks’ balance sheets would be a simpler way to dust down the welcome mat. Barclays Chief Executive Jes Staley urged the UK government to cut taxes and relax regulations on British banks after Brexit in a meeting with Prime Minister Theresa May, according to a Bloomberg report on Jan. 11. The UK's financial services sector contributed 71.4 billion pounds in taxes in the year to March 2016, according to the City of London Corporation.